England are cruising in their second game at the Russia 2018 World cup against Panama. The three lions captain Harry Kane scored a hattrick before he was substituted for Jamie Vardy. Blinding finish from Harry Kane. The first player to score a hat-trick and a brace in consecutive World Cup games since 1986. 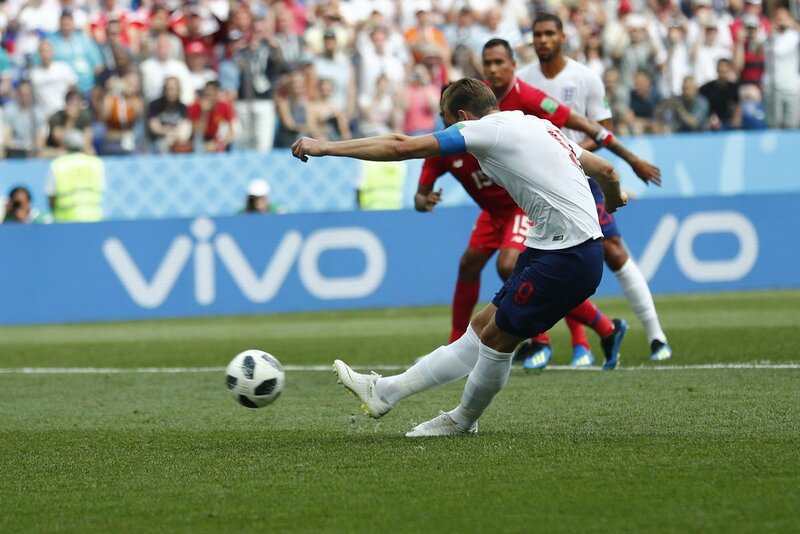 Two of the three Harry Kane goals were scored from the penalty spot, Panama have been overly aggressive, neglecting the ball and chasing players instead, which led to the spot kicks. England were known for taking poor penalties in the past but Tottenham striker Kane has put an end to that, scoring two perfect penalties in this match. Both kicks were beautiful to watch. Harry Kane is now leading the highest goal scorer chart with five goals with Romelu Lukaku and Cristiano Ronaldo on four goals respectively. What a penalty by Harry Kane. Now they can take penalties too. GIVE THEM THE F*CKING TROPHY NOW! Tottenham Hotspur’s Harry Kane with a penalty masterclass in that first-half. 100% conversation rate of every shot he’s taken so far to have found the net. Also scoring all his goals from tap-ins and penalties so far for banter.